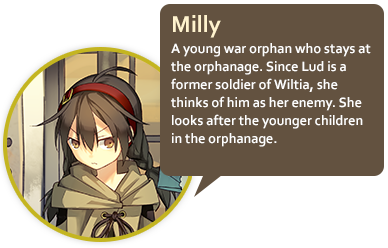 This high ranking newcomer Light Novel is finally available in English as a BookWalker exclusive! Enjoy this former-soldier-meets-girl series! 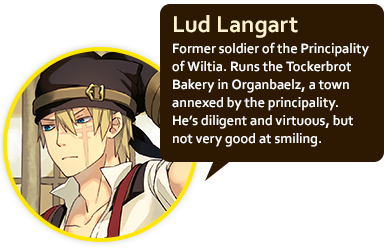 The war hero known as Silver Wolf - Lud Langart - pilots a humanoid assault weapon while he dreams of life as a baker. 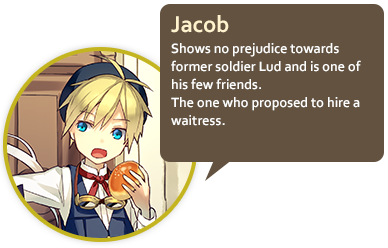 With the war over, Lud now peacefully runs his bakery, but thanks to his frightening scowl, he can't sell a single loaf of bread. 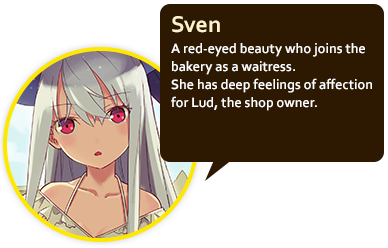 After posting an ad for a waitress in a last ditch effort to save his business, who should reply but a beautiful silver-haired, red-eyed young girl. 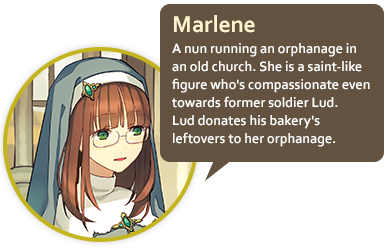 What Lud doesn't know is that this new waitress was born from Avei, his AI partner installed in the humanoid assault weapon he piloted during the war. 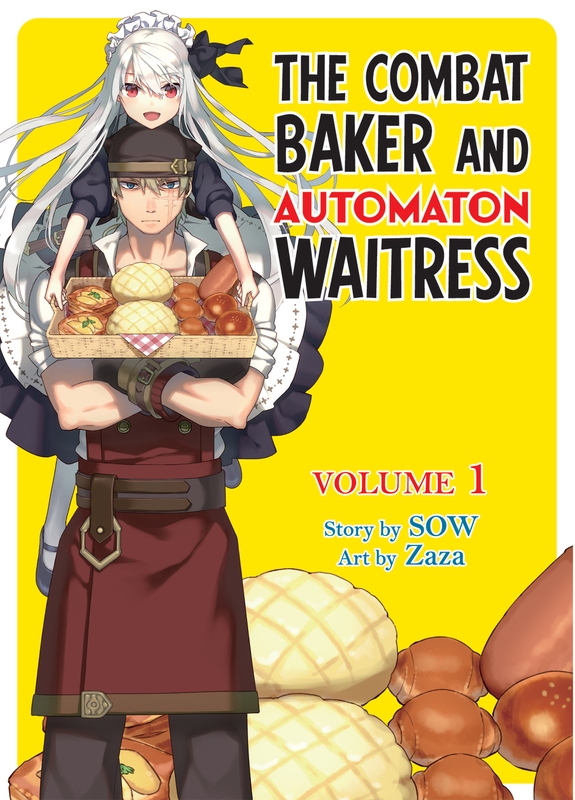 "The Combat Baker and Automaton Waitress" is a unique title that manages to balance the elements of slice of life and action. Even though Lud just wanted to spend the rest of his days in peace, hiring Sven marks the start of turbulent and lively days. A great read, especially if you are someone who wants to encourage the progress in the protagonist's and heroine's relationship! And recommended if you like The Devil Is a Part-Timer! *Kono Light Novel ga Sugoi! (lit. This Light Novel is Amazing!) is an annual light novel guide book released by Japanese publishing company Takarajimasha. The guide book consists of Light Novel focused rankings based on various polls. 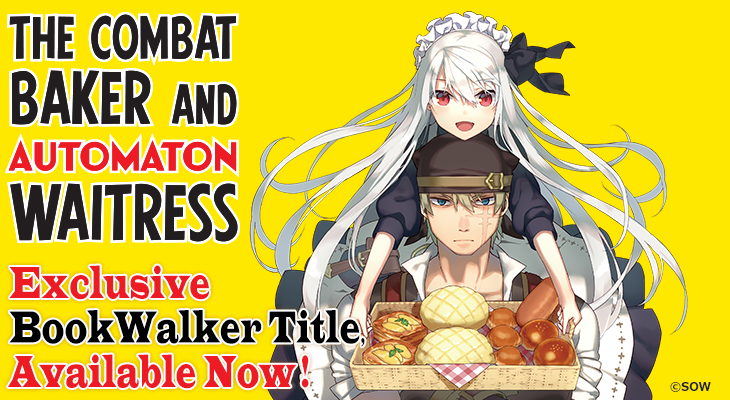 Purchase The Combat Baker and Automaton Waitress, Vol. 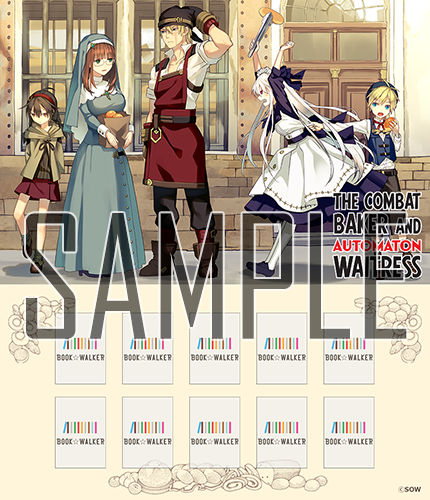 1 (Light Novel) and get a FREE Bookshelf Skin! ・You may store 10 books on this bookshelf. Cover images of each book will be shown in the translucent squares on bookshelf. ・You need to have internet connection to download this item. ・This item will be available for download at 00:00 AM JST (07:00 AM PDT / 03:00 PM UTC/GMT) after the purchase of the eBook. and tap [Menu](Upper left icon) and choose [Original Bookshelf List] after you purchase the eBook.